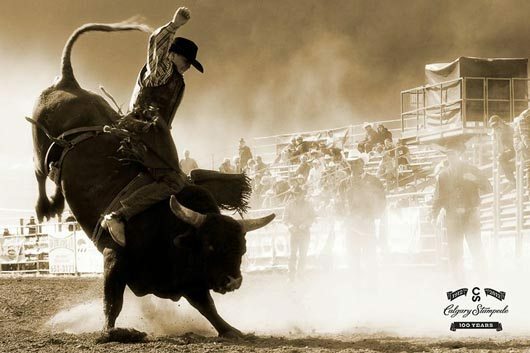 For many talented cowboy entertainers, artisans and Western lifestyle addicts, the Annual Kamloops Cowboy Festival is a March tradition. This year marked the 17th edition of the Kamloops, BC, festival, which hosted an extensive list of the hottest performers of today’s country western entertainment. The star studded stage line-up included Canada’s Tim Hus and Gary Fjellgaard, American’s Dave Stamey and the half-cracked humour of Australian Champion Bush Poet, Carol Heuchan. Kamloops is historically considered to be ranching country. Throughout the second weekend in March, the BC Cowboy Festival’s objective is to honour the legacy of the working cowboy and promote the unique heritage, which follows this way of life. Mike Dygert of the Gordy West Band, Shirley Field and Allen Christie, took the stage during the Friday evening performance. The music, poetry and artisans which decend upon Kamloops during the March cowboy gala, are second to none. “It’s not what you expect sometimes- it is genuine and real,” explained festival co-founder and entertainer Hugh McLennan. According to McLennan, the Kamloops Cowboy Festival is considered by everyone in the genre, the place to be. 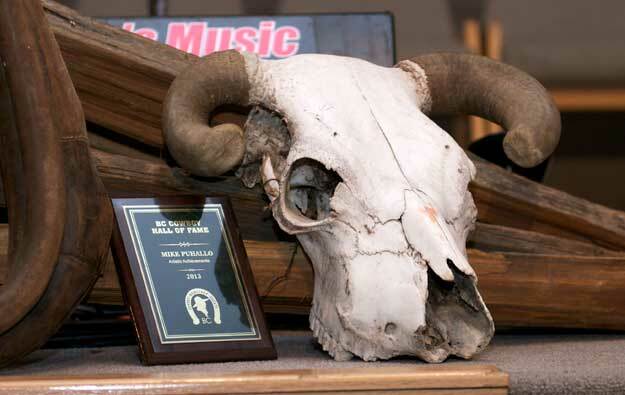 The 2013 BC Cowboy Heritage Society’s Hall of Fame Artistic Achievement, was awarded to the late Cowboy Poet Mike Puhallo- co-founder of the BC Cowboy Festival. This year’s BC Cowboy Heritage Hall of Fame honourees included Artistic Achievement winner, (the late) Mike Puhallo, Century Ranch recipient the Pooley Ranch, Working Cowboy award winner Steve Archacan (Hyde) and the annual Family inductee went to the Pozzobon (Sammy) outfit. The Honourable Judith Guichon, Lieutenant Governor of British Columbia, honouring the Pooley Ranch family with the BCCHS Century Ranch award. 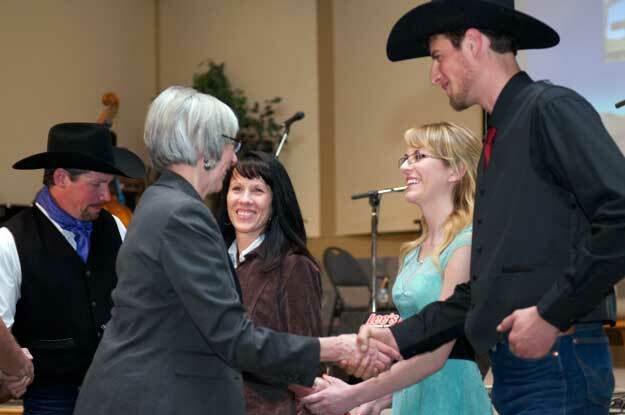 The Honourable Judith Guichon, Lietenant Governor of BC, was on hand to congratulate the 2013 BCCHS Hall of Fame honourees. Guichon knows the cowboy life first hand. The Governor owns and operates the Gerard Guichon Ranch, a large cattle operation in the Nicola Valley, BC. 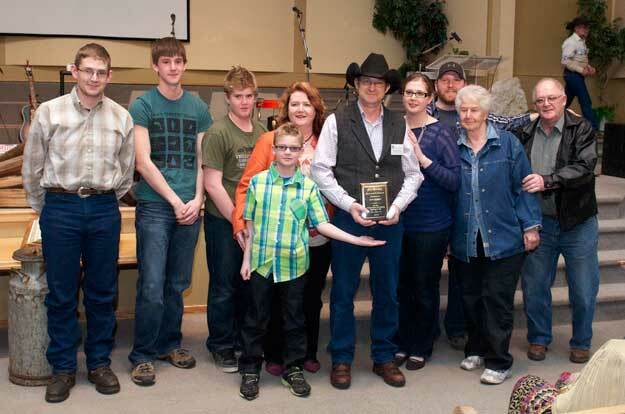 The Joe Marten Memorial Award winner, saddle maker Don Lowen of Cowboy Classic Equipment and his family. This year’s Joe Marten Award winner was Merritt BC’s Don Lowen. Lowen is a talented craftsman, who once worked on the famous Douglas Lake Ranch and for several decades has been one of BC’s most respected saddle makers. The Joe Marten Award is honoured to those who have worked the ranges and continue to preserve the Western heritage in BC. 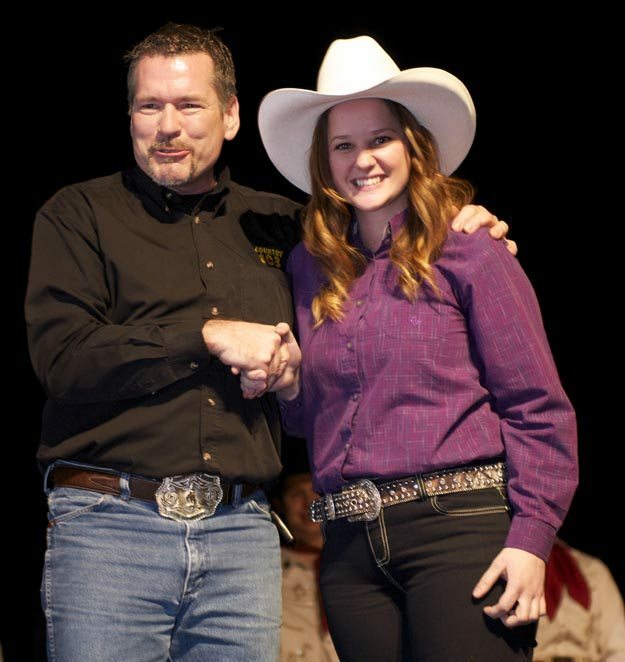 Country 103’s Louis McIvor congratulating Rising Star winner Rae-Lee Faser of Barriere, BC. Finishing off the weekend’s festivities, was the crowning of this year’s Rising Stars. In the poetry division, BC’s Rae-Lee Fraser of Barriere, BC took home first place and the $1000 grand prize. The Rising Star competition is a platform for emerging artists to showcase their work and gain exposure to the Western performance scene. 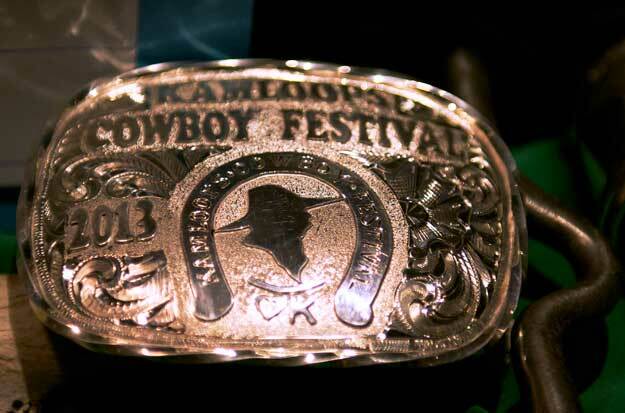 For more information on the 2013 Kamloops Cowboy Festival and its extensive list of entertainers and award recipients, go to www.bcchs.com. Cowboy poetry is an occupational tradition, born out of a livelihood that is dependent on land, water and weather. At a time when demand for the West’s natural resources is at an all-time high, and a changing climate is contributing to drought and its devastating consequences, it is critical to bring together those who depend on the land and those who are tasked with ensuring its sustainability, to share stories and solutions to the region’s growing resource concerns. 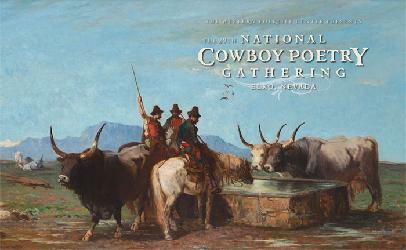 The National Cowboy Poetry Gathering, which takes place in Elko, Nevada, January 28 to February 2, 2013, is a natural forum for discussions about these and other subjects pertinent to the rural West. Among the topics of discussion at the 29th Gathering will be the challenges of water in the West. A roundtable discussion among four presenters will offer a range of perspectives and experiences on topics ranging from regional drought to resource conservation, sharing local stories to working collaboratively. The intent is to generate food for thought and provide practical tools for water conservation. There will also be a follow-up conversation with audience members. Panelists are Bill Zeedyk, a consultant who helps ranchers restore wetlands and riparian habitats using “low-tech” bio-engineering methods and native materials; Lisa Hamilton, a photographer and writer who collects and shares stories of individuals’ relationships to water in the West; John Ehrmann, who, as founder of the Meridian Institute, has pioneered the use of collaborative decision-making in many challenging areas, including water conservation; and Jack Loeffler, an aural historian, radio producer and writer whose focus includes restoration and preservation of habitat, the relationships of indigenous cultures to homeland, and understanding the role of cultural diversity in preservation of habitat. A discussion of evidence-based horsemanship with well-known horseman Martin Black and neuropsychologist Dr. Stephen Peters, who have studied the horse’s brain and its development for keys to horse behavior and in an effort to find solutions for best practices in horsemanship. A conversation about agriculture and the creative muse with poets and ranchers Sean Sexton, Linda Hussa and John Dofflemyer. Writer and artist Teresa Jordan will host this discussion of how the natural world is a source of artistic inspiration for those who work the land for a living, and how their creative lives are enriched and challenged by their ranching occupation. In presentations about the practice of poetry and storytelling, cowboy poets will share their insights on choosing poems to recite, and how to enhance the performance of poetry. Photographer and writer Lisa Hamilton will share stories of farmers and ranchers throughout the West and discuss the communication challenges of telling rural stories to an urban public. Ranching in Italy’s Marrema: Past, Present and Future—a presentation on the deep roots of ranching in Italy as well as the contemporary realities of making a living raising cattle in this part of the world. Italian Ranching East and West—a discussion of the current state of ranching in the American West and Italy, and thoughts for the future of the occupation in both countries. Ranch Women Swapping Stories—a sharing of stories, poetry and prose among Italian and American ranch women. 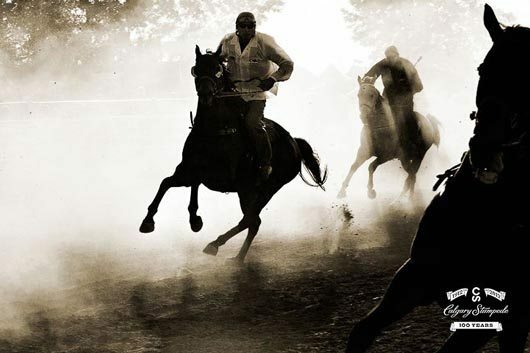 Italian American Ranching Stories—an afternoon of stories that connect the dots between Italy and the American West, honoring the generations that immigrated and those who continue to ranch in northern Nevada. These presentations and discussions are free with the purchase of a 3-day Deluxe Pass, which is currently priced at $60 and good for Thursday, January 31 through Saturday, February 2. Single Day Passes are also available for each of these three days at a cost of $25. A full schedule is available online. Not long ago I received a wonderful gift in the mail. An advance copy of a brilliant compilation dedicated to the rich Alberta ranching heritage and the Calgary Stampede. 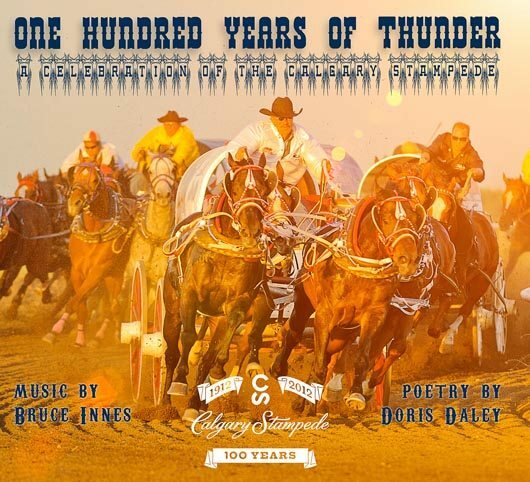 Four Calgary-area artists, each an award-winner in their respective fields of historical writing, music, photography and western poetry, have collaborated on a CD project called 100 Years of Thunder: a tribute to the 100th anniversary of the Calgary Stampede. If there is only one 100 year Calgary Stampede Anniversary memento to collect, this would be it. Singer songwriter Bruce Innes, author Wendy Bryden, photographer Neville Palmer and poet Doris Daley have produced a fantastic collection of stories, poetry, music and photos. The CD itself features 10 original poems (Daley) and 10 original songs (Innes) that salute iconic Calgary Stampede themes like pancake breakfasts, Guy Weadick and Flores LaDue, the white hat, Outlaw the Bucking Bull, chuckwagon races, Indian Village, cowboy fever, the Big Four – it’s all here and then some. Bryden has written historical essays based on each of the past 10 decades of the Stampede, illustrated by Palmer’s breathtaking photographic art in the CD liner note booklet. 100 Years of Thunder photo by Neville Palmer. It’s true – this is so much more than just a CD. The voices within and visuals combine to fashion a whimsical and beautiful work of art, capturing the essence of the heartbeat of the Calgary Stampede. One hundred years of western spirit and rodeo history is worth celebrating, and 100 Years of Thunder serves it up with history, art, music, stories, emotion and cowboy spirit all rolled into one. Here’s the great part. We have a special offer just for the Western Horse Review audience. Order either the CD or the limited edition boxed set (only 200 copies: first come – first served) and enjoy a 20% discount on your purchase. Just enter WHRFRIEND and automatically score a 20% discount when you order at 100 Years of Thunder. Cowgirl poet, Doris Daley, Turner Valley, Alberta, in a traditional Sheridan-styled silverbelly hat and plaid western shirt. 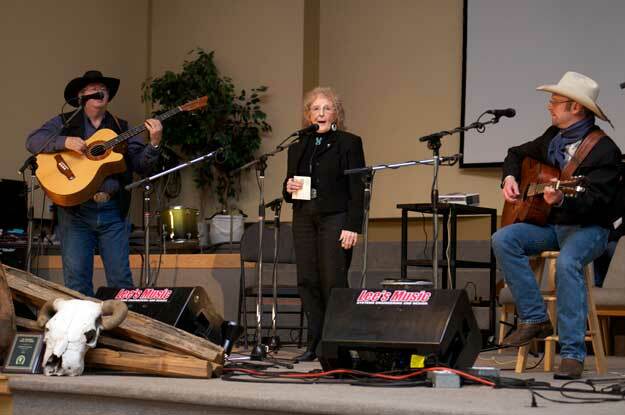 Note: Recently announced on her website: a Daley Double at the 2009 Western Music Association Awards in Albuquerque, New Mexico, when Daley was awarded Best Female Cowgirl Poet and Best Cowboy Poetry CD. More at www.dorisdaley.com. And watch for our feature interview with Doris in the May issue of Western Horse Review.